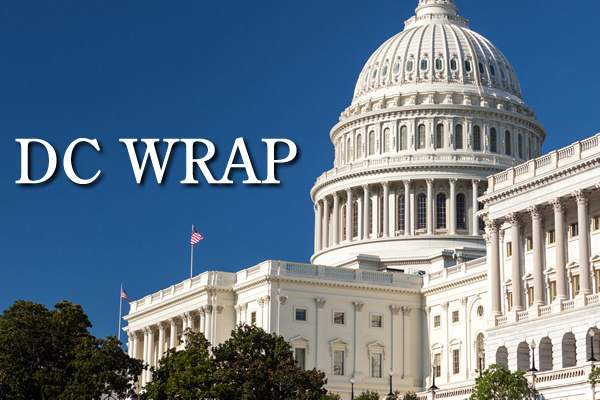 Welcome to our weekly DC Wrap, where we write about Wisconsin’s congressional delegation. Sign up here to receive the newsletter directly. Congress and the American people deserve to read Mueller’s full report, and we must demand complete transparency. It’s the only way forward from here. – U.S. Rep. Gwen Moore, D-Milwaukee, in a tweet joining fellow Dems in calling on the attorney general to give Congress and members of the public access to the special counsel’s full report from his investigation of President Trump. AG William Barr released a four-page summary of special counsel Robert Mueller’s investigation over the weekend. Unfortunately, the investigation took almost two years and was a huge distraction from the significant problems facing our nation. Hopefully, the attorney general can quickly conclude his final report and allow us to turn our full attention to those other challenging issues. – U.S. Sen. Ron Johnson, R-Oshkosh, in a tweet applauding the report’s findings that Trump’s campaign didn’t collude with Russian actors in the lead-up to the 2016 presidential election. What is it that we have a problem with, with children who are in special education? Small business owners, in particular, have shared fears that they will be unable to bear the new compliance burdens and may have to shutter their businesses. – U.S. Rep. Jim Sensenbrenner, R-Menomonee Falls, touting his federal online sales tax bill. The bill comes after a June U.S. Supreme Court decision allowing states to collect online sales taxes from retailers without a physical presence in the state. Sensenbrenner’s bill would ensure states can’t retroactively collect the taxes on transactions before Jan. 1, 2019, among other things. — U.S. Rep. Mike Gallagher is pushing a bill he says would prevent Democratic “court packing” efforts. The effort, a constitutional amendment, would keep the U.S. Supreme Court’s size at nine justices. The bill comes as Dem presidential candidates have expressed an openness to expanding the size of the high court. That includes U.S. Sens. Elizabeth Warren, Kamala Harris, Kristen Gillibrand and Cory Booker, former U.S. Rep. Beto O’Rourke and former South Bend Mayor Pete Buttigieg, per national media reports. Gallagher said in light of those “partisan calls,” the time is now to pursue a constitutional amendment. “Americans rely on the Supreme Court to faithfully uphold the Constitution, and with Democrats’ partisan calls to increase the Court’s size gaining momentum, it is now more important than ever to preserve the legitimacy of the highest court in the land,” the Green Bay Republican said in a statement. U.S. Sen. Marco Rubio, R-Fla., has introduced a companion bill in the Senate. The House bill has three GOP cosponsors. Constitutional amendments must pass both houses of Congress with a two-thirds majority, before being sent to the states where three-fourths have to ratify them in order for the changes to be adopted. — U.S. Sen. Tammy Baldwin is bringing back her bill aiming to curb stock buybacks and give workers a bigger say in company decision-making. The Madison Dem’s legislation, called the “Reward Work Act,” would bar corporations from being able to re-buy their own shares. It would also let employees directly elect one-third of their company’s board members. Baldwin called for rewarding hard work in a statement touting her bill, saying stock buybacks are increasing wealth inequality. — Baldwin has also been named as one of the members of a new Dem panel aimed at addressing climate change. The Madison Dem will be one of 10 members on the newly created Senate Democrats’ Special Committee on the Climate Crisis. Among its responsibilities will be holding hearings and issuing findings on the consequences of climate change and the opportunities taking action to combat it would bring, according to Baldwin’s statement. “Taking bold action to confront climate change is not just an environmental goal; it is an urgent economic necessity for us in Wisconsin,” she said. — U.S. Sen. Ron Johnson joined all Republicans this week in shooting down the Dem-backed “Green New Deal” on the Senate floor. The measure failed on a 57-0 vote, with Dems, including U.S. Sen. Tammy Baldwin, opting to vote “present” on the effort. “If Democrats hypocritically say they support their $93 trillion spending boondoggle but then don’t vote for it, no American should take them or the Green New Deal seriously,” he said in a statement. Senate Dems, per national media reports, framed the vote as a political sham. See the roll call vote. — The majority of Wisconsin House members backed overturning President Trump’s national emergency declaration again this week. But the effort, which got a 248-181 vote, fell short of the two-thirds majority needed to override Trump’s veto of legislation blocking his declaration to go around Congress to fund a wall along the southern border. All of Wisconsin’s Dems and two GOP reps backed the effort the second time it came to the chamber’s floor — the same Wisconsin members who voted to back the measure the first time around. They were: GOP U.S. Reps. Mike Gallagher and Jim Sensenbrenner and Dem U.S. Reps. Mark Pocan, Gwen Moore and Ron Kind. The Republicans were two of 14 in their party who supported the resolution. Meanwhile, GOP U.S. Reps. Sean Duffy, of Wausau, Glenn Grothman, of Glenbeulah, and Bryan Steil, of Janesville, again opted to oppose the bill. — Wisconsin House members, led by U.S. Rep. Jim Sensenbrenner, are calling for an extension of Wisconsin’s SeniorCare prescription drug program. 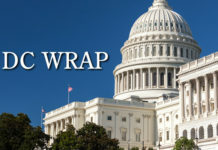 The eight members asked Health and Human Services Secretary Alex Azar in a letter to provide a long-term extension to the program that expires March 31. Making a pit stop by the bipartisan motorcycle caucus event at Harley Davidson with Ed Moreland. Its headquarter is based in my district!???? #MKE pride ??????? ?